The San Ysidro School District, which serves some of the poorest students in San Diego County, has been dogged by controversy for years, often involving questions of financial mismanagement. Danielle Clark, who was the district’s special education director for less than five months, sued the district for wrongful termination after she was abruptly let go. Clark’s termination occurred under former Superintendent Julio Fonseca. After Fonseca resigned last year, a state audit was done that concluded he and his top deputy were overpaid about $324,000, including for life insurance and vacation days. The district also is undergoing a second state audit into past contracts and payments to vendors connected to school construction projects. The school board approved the payment to Clark as part of its consent calendar at this month’s regular meeting. Clark told inewsource she and her attorney last heard from the district three to four weeks ago, and they expected a settlement payment of at least $150,000. She has not received any check from the district. “We had no idea that anything was formally approved until (inewsource) called me,” Clark said in a text message. Few details were made public about the agreement, and the line item on the agenda made no mention of Clark. Her settlement, including her name, was listed among 140 expenses on a document included in nearly 200 pages of backup material for the board meeting. The vote was 3-0, with board members Marcos Diaz and and Antonio Martinez absent. In May, the board gave district lawyers the go ahead to settle the case. When inewsource asked district spokesman Francisco Mata for a copy of the settlement, he said he couldn’t provide one and that Potter would be looking further into the request. Potter was hired in April, becoming the troubled district’s ninth superintendent in five years. The district serves some of the poorest students in San Diego County, with 36 percent classified as homeless. In Clark’s lawsuit, she said she received a letter on Oct. 24, 2016, releasing her from her district position without notice or cause. The district’s lawyer argued Clark was a probationary employee and her dismissal was allowed. But Superior Court Judge John Meyer disagreed. 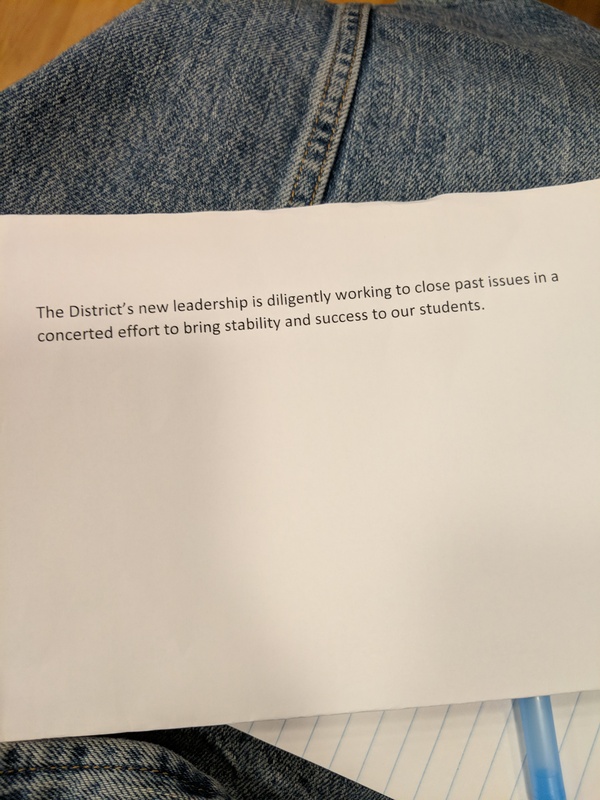 “The District is wrong,” he said. Meyer said the district could only terminate Clark for cause or choose not to retain her for the next school year. He ordered the district to pay Clark the full salary and benefits she would have received had she continued her employment. Clark was paid about $56,500 in salary and benefits for the nearly five months she worked for the district, according to Transparent California, a nonprofit that compiles public employee pay and pension information. Court documents show Clark began working for the Capistrano Unified School District as a special education department coordinator 10 months after the San Ysidro School District terminated her.